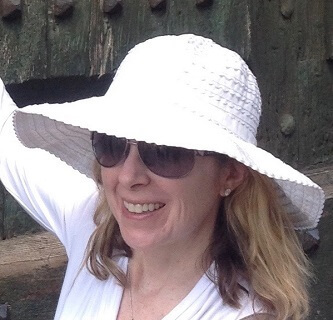 Elise A. Barish, a donor-advised fund holder at Rose Community Foundation, is passionate about promoting the need for sun protection and early detection of melanoma. Her own awareness began when her brother was diagnosed with the skin cancer in his early thirties. Thanks to early detection, he recovered quickly. Barish soon got involved with the Melanoma Research Foundation (https://www.melanoma.org/). Her primary interest is in raising awareness of the simple habits that can help prevent skin cancer. As her own children got older, Barish realized that having control over whether they wore sunscreen or covered up became much more difficult than it had been when they were little. The way schools handle recess and other outside time is also not conscious of the need for these preventive measures. “There needs to be institutional and structural changes at the school level,” to provide room for sun protection, Barish points out. But, she also says kids need to be aware of what to do to protect themselves. At Rose Community Foundation, we believe that generous people who support innovative solutions can make our community stronger. Barish is doing just that by directing her donor-advised fund to support a research project working with kids to develop a peer-to-peer awareness campaign about skin cancer prevention. The project pairs two metro-area high schools which will each offer a class that teaches students more about melanoma and prevention, along with how to craft effective public health campaigns. The result will be a video campaign directed at middle school students. Barish is hopeful this project could provide a springboard to more funding and wider awareness. “We are still at the early stages of awareness,” she says. Barish also is instrumental in the Wings of Hope for Melanoma Gala (https://denver2017.auction-bid.org/microsite/) to raise funds for the Melanoma Research Foundation, which takes place on April 26 this year.